I came across some tough decisions this past week. I'm gonna be honest, I'm gonna be blunt. I had to make a choice of whether or not I was going to continue with Freedom Runs. I had some serious thinking to do. I debated with myself all week on what the smart thing to do was. The smart thing, of course would be to quit. This past year has been anything but profitable. I haven't had an order in months. My etsy shop is collecting dust. My hopes were dwindling and I was almost ready to throw down my brushes. When I couldn't make a sell for a charitable cause it almost broke me. But then I realized that sometimes the smart decision, is not always, the best decision. Where would anybody be if they lived their life soley based on numbers and the safest options? How many had to get to where they wanted with a little bit of recklessness and a whole lot of distant day dreaming? I couldn't walk away from this thing I had grown from nothing, only to leave it to become nothing again. I also came upon a second realization. That my poor judgements and self criticism was the cause of this downhill climb I was doing. Freedom Runs had a quaint start, but it was a start. I made some serious bad calls and lost the trust of two clients and I will never forget or forgive myself for the silly mistakes that caused me business. I have tried my hardest to do better since then. Except that's not true. I did not try my hardest, which is why I was left making this decision. I want to apologize to everyone who believed in me. To everyone who has supported me. To everyone I messed up with. I was not putting my all into this dream of mine. I almost gave up. I let myself fall into a rut of "what ifs" and "could haves" and that is a deep hole to dive into. I promise from here on out, you will get nothing but my best. There will be no half assing and no procrastination. You will only see what I have poured my heart and soul into and nothing less. I'm giving Freedom Runs a new start. I'm giving myself a second chance. I hope you will do the same. Let me paint you a day dream. As an artist, I have to tell you that was the hardest, most disheartening thing I've ever had to do. You want to feel like a failure real quick? Go face paint a child. Yes, it was THAT bad. I was asked to have a face painting booth for a benefit, so I thought I would practice on the children at a family birthday. Mind you, I had never done this before. But how hard could it be, right? WRONG. IT'S HARD. REALLY, REALLY HARD, OK?! Mistake number 1: don't buy the cheapest face paint you can find. It's that cheap for a reason. Seriously, some if the colors didn't even show up. I did multiple layers and the skin still showed up underneath even with the dark colors. Mistake number 2: don't think you can get away with just any random brushes you have laying around. That was my biggest no no. You need make up sponges, and a variety of different good acrylic brushes to get the effects you want. I was stuck with three fairly small brushes trying to paint children's whole faces. Wasn't. Happening. Mistake number 3: do not underestimate the art of face painting. It's not as simple as you might think. Painting a face and painting on canvas are two different worlds baby. If you have mad face painting skills, I have the utmost respect for you. I'll shake it off as lesson learned and hope for better results next time. Until then, some serious face painting research is due. I've had a few adventures since my last post. Sorry for the wait guys, I had a bit of a creative block. Happens to the best of us right? Maybe? You understand. To start things off, we took boss hiking, who did exceptionally well considering he can be a little anti social and hard to handle when leashed. Made momma proud, **tear**. Took Gia and the pups to the river, who did not do exceptionally well. We're going to work on that bit though, I love the river too much for my fur child to not also be a river rat. 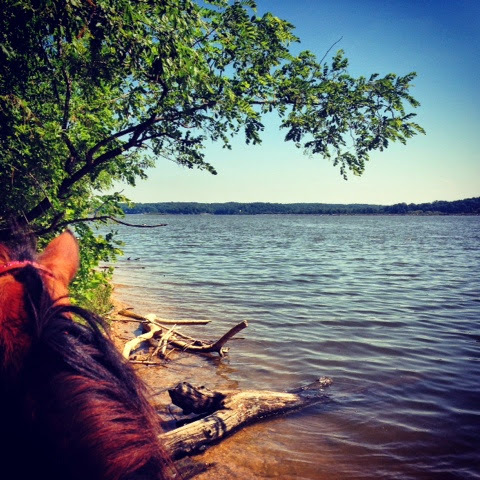 I had my first trip to some real Kentucky horse trails on Kentucky lake, and I almost didn't come back. Can I PLEASE just live there? Seriously, you can't possibly understand unless you were there in that perfect 70 degree weather, with all of that fabulous wilderness. If you have not ridden a horse in these conditions, I'm convinced you are not truly happy in life yet. Then I ventured back to the farm and had a lovely week of sunshine and animals. 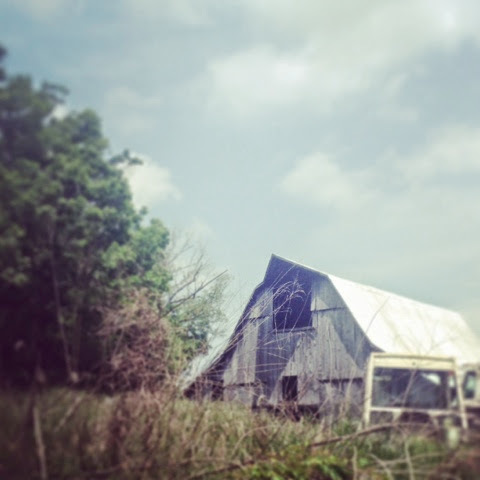 Got my monthly dose of beautiful fields and old barns. There is no better medicine than being out in gorgeous weather surrounded by what you love. It is good for the soul, of this I am sure. I have also started on another piece of my wild art series. This is one is back to canvas and acrylics, good old trusty. He isn't finished but he's coming along nicely if I do say so myself. I have never been more excited for the art I was doing than for the art in this series. This is my baby, my first real creative collection that is all mine. I am proud to share it with you. I also decided that since I was gone for so long I would share a few pictures instead just one, because who doesn't love a good picture or five? Exactly. I took this picture on horseback, IN the lake. You really can't beat that. It is the definition of lovely. Hello farm, I love you. Old barns never go out of style in my book. 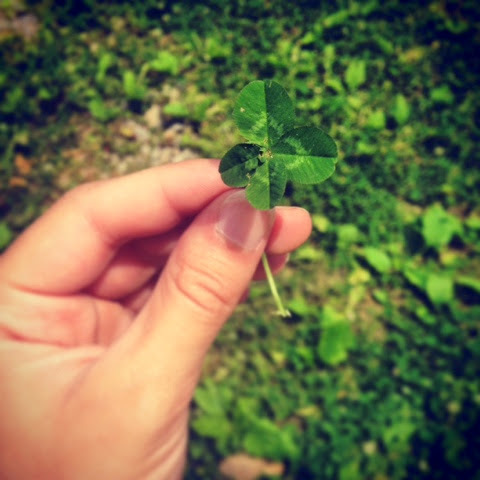 I forgot to mention I found my FIRST and ONLY four leaf clover in 24 years. I'll take that as a good sign. Follow Freedom Runs by Email!